Happy Monday! Can you believe we’re already two and half weeks into July? The summer is going by too quickly! I don’t like it. For the Secret Recipe Club this month, I was assigned to Famished Fish, which is written by Saundra. Like me, Saundra is most relaxed in the kitchen. Also like me, she loves to get the reactions of people when they try her food. She has 3 kids, a baby and a husband to try her recipes out on though. It took me all of about 5 minutes to chose my recipe for this month. I always like to make sweet recipes for the Secret Recipe Club, so I clicked on her Dessert tag and started scrolling through. When my eyes landed on Horchata Ice Cream, I knew there was no need to look any further. This was the recipe I was going to make. I honestly don’t even know the first time I had Horchata but I’ve always loved that light cinnamon flavor mixed into ice cream. Most recently, I had a cream ice version of it from Rita’s since I haven’t been able to find it anywhere else. 1. Add the milk, rice and cinnamon stick to a medium saucepan and heat over medium heat. Stir occasionally to stop the milk from burning. When bubbles form around the edges of the pan, the milk is scalded. Remove from the heat. 2. Allow to cool to room temperature and then transfer the mixture to a food processor or high powered blender. (If you have a Vitamix you do not need to allow the mixture to cool.) Blend thoroughly. 3. Meanwhile, whisk together the egg yolks and sugar in a medium bowl until a thick paste forms. Strain the milk mixture over the egg mixture, discarding any solids. 4. Then transfer the combined mixture to a medium saucepan and heat over medium heat. Use a candy thermometer to watch the temperature. When it reaches 170 degrees, the mixture should evenly coat the back of a spoon. 5. Remove from the heat and stir in the pinch of salt and vanilla extract. Transfer the mixture to an ice cream maker and process according to manufacturer instructions. Transfer the ice cream to a container and freeze. The original recipe calls for almond extract instead of vanilla but I didn’t realize I was out of almond extract until it was too late. This ice cream is absolutely to die for. You have the typical thick consistency of a store-bought ice cream from the egg yolks but the lighter milk reduces the calories and fat without taking away any of the flavor. 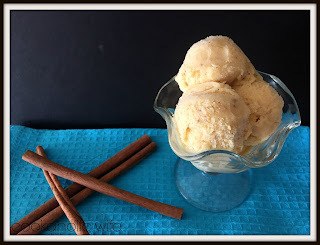 If you like cinnamon at all or are planning any type of Mexican food party in the near future, this ice cream recipe needs to be on your menu! This sounds amazing…and July is the perfect month for a cool dessert!! Your Slow Churned Horchata Ice Cream looks like a great summer time treat! It is fun cooking with you in the SRC and have a great day! 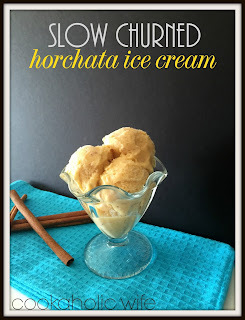 I had never even heard of horchata before, but this looks really intriguing! 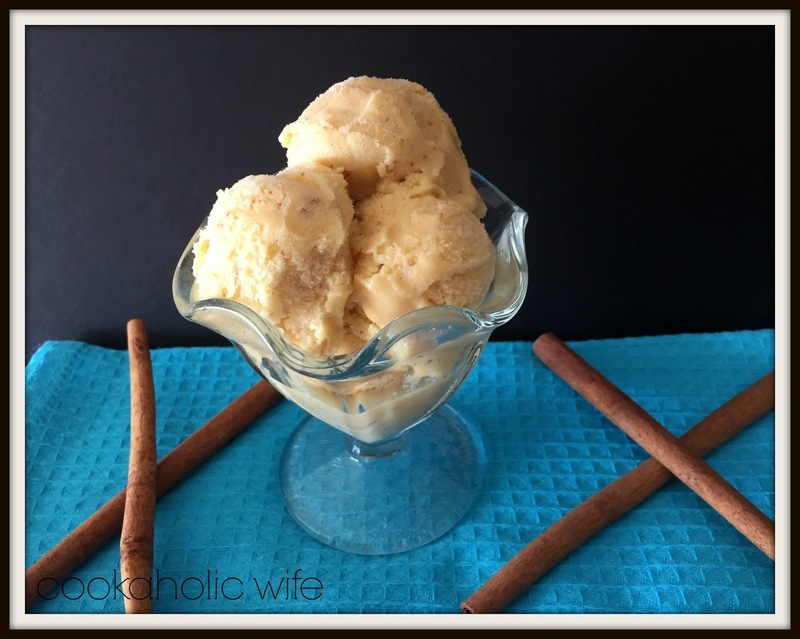 Perfect recipe for ice cream month! Love the combo of almond and cinnamon flavors. We've been on such an ice cream kick and this sounds amazing.